COMING from its #HappyMoments campaign last year, where guests shared moments when they experienced happiness with the hotels through a year-round social media campaign, this year, the Hotel 101 Group launches #365DaysofHAPPINESS, with the goal of spreading happiness and celebrating happy moments for each of the hotels under the group. “The campaign #365DaysofHAPPINESS is an encouragement to our guests to celebrate individual moments of happiness, when they check-in with their family or friends, or even for a business trip any time of the year,” explained Hotel 101 Group general manager Lei Apostol. “It is also a reminder for us hoteliers to each be ambassadors of happiness, to be always up on our toes being the quiet hands behind the scenes making sure our guests have a memorable stay,” Apostol adds. “It is nothing short of a commitment for us to constantly elevate our level of service to our guests,” she enthused. Guests may able to join in the sharing of happiness by posting on their social media accounts how happy they are during their stay with the hotels, or by reviewing their stay on any of the online platforms and review sites. “Everyone must watch out for our posts and announcements on social media, as we will also surprise our guests by giving away complimentary stays throughout the year for those who join our #365DaysofHAPPINESS campaign,” said Hotel 101 Group Head for Sales and Marketing. In line with the campaign, they will also launch Happy Long Weekend and Happy Sale, Hotel 101 Group’s branded promotions, where the public may be able to enjoy discounts and crazy low promotions for all the identified long weekends, and surprise promotional dates this 2019. “True happiness is shared, and this is what we want to share with everyone, with our guests, with our staff, and with our partners, when they come across our brands,” Apostol said. 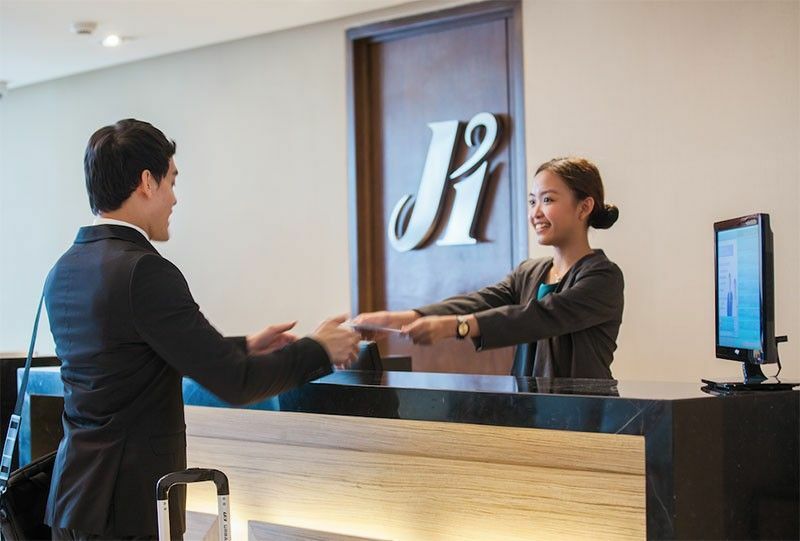 The Hotel 101 Group, the hospitality arm of DoubleDragon Properties Corp (DD), operates homegrown brands 518-room Hotel 101 – Manila in the Mall of Asia Complex and 194-room Injap Tower Hotel in Iloilo City, and international brand Jinjiang Inn, with 95-room Jinjiang Inn – Ortigas, 59-room Jinjiang Inn – Makati and 10-room Jinjiang Inn – Boracay Station 1.